Even kids these days are fabulously decked up when it comes to ethnic wear. Sherwanis which were earlier meant only for men are now also a must-have for kids. 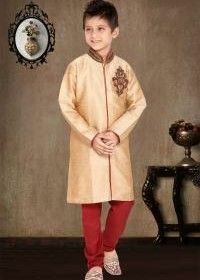 There are many varieties in kids sherwani too. 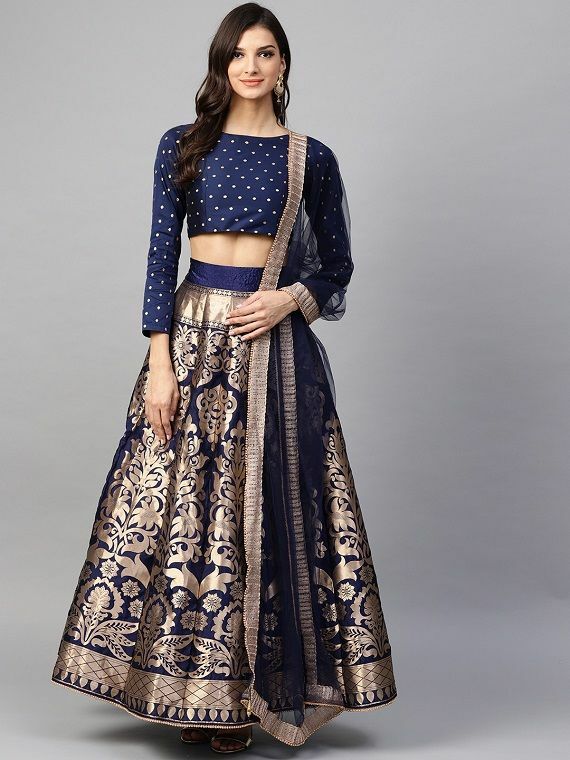 Sherwanis used to be of one mundane style earlier, however, with the changing norms of fashion, even sherwanis have now become trendy and unique. Currently, Indo-Western sherwanis have become very popular. For men wearing a sherwani is almost effortless but in case of kids, dressing them up in sherwanis is quite a task. 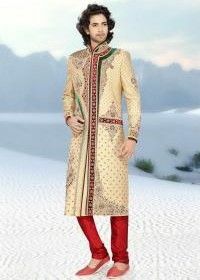 Sherwani is a perfect traditional attire. Usually, a sherwani is nothing but a knee-length kurta which is worn with churidar, pajamas or dhoti. Mostly, worn during festivals and weddings, sherwanis have a rich touch to it. 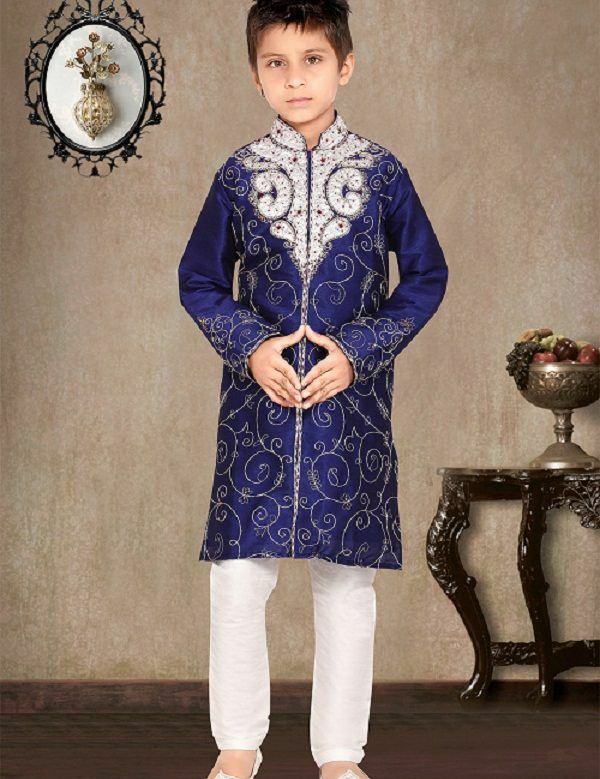 Quite formal in appearance kids sherwani these days comes in a variety of patterns and colours. It should be noted that sherwani for kids needs to be selected carefully keeping in mind several factors. These days most people opt for casual kurtas and pajamas for traditional occasions and festivals. Even for kids, kurtas and pajamas are chosen as traditional attires. However, if you are tired of dressing up your kid in kurtas and pajamas then sherwani is one good option. The best occasions to wear sherwani are festivals, engagement ceremony, cocktail party and weddings. One can try out different fabrics and embroideries depending on the event. Make sure that your child is comfortable with the attire and the style. Ethnic trousseau is the best choice for festivals. You can dress up your kid in a vibrant-toned sherwani! During festivals, most of us like to opt for bright colours and sherwanis are also available in several tones. You can experiment and opt for different bottom styles like straight pants or dhoti pants. The best occasion to wear sherwani is weddings. Indian weddings are full of grandeur and dressing right is very vital. Sherwanis are widely preferred for marriage ceremonies because they blend well with the vibe of the event. However, you can add your personal touch to the sherwani by selecting not so common colours. These days there are many Indo-Western varieties too in sherwanis. Modern styled sherwanis are apt for engagement ceremonies and cocktail parties. Most of the times engagement ceremonies and cocktail parties are an intimate affair with a limited number of guests so wearing a slightly contemporary sherwani works the best. Sherwanis these days come in several patterns and styles. Just like kurtas, even sherwanis have types. Earlier sherwanis were nothing but knee-length kurta-like attires with a straight cut. Here are some new-age sherwani types you can opt for. Similar to achkan kurtas, achkan styled sherwanis have a collar. This particular sherwani type is very popular currently, with a straight cut and a fitted collar, achkan sherwanis signify class. In the world of kids sherwani, achkan sherwani is the trendiest one. Pair up this particular sherwani with a dhoti pant or a churidar. Angrakha sherwanis are quite heavy laden as compared to other kids sherwanis. This sherwani type has a layer-like designing and needs to be tied on one of either sides. Angrakha sherwani is best paired with a churidar. If your kid is comfortable with wearing juttis then you can complete the look with a pair of traditional juttis. A jacket style sherwani is a very unique look to carry. Moreover, this particular look is also suitable for kids. Meant for important occasions, jacket style sherwani is best worn at weddings. This particular pattern is divided into two coat-like attires. The uppermost coat is like a jacket which is filled with embroidery or sequins. These days in order to enhance the look, mirrors and stones are also added to the jacket. If you are looking out for a royal look then opt for anarkali sherwani. An anarkali sherwani is flared at the bottom giving it a very ethnic look. Anarkali sherwani is quite heavy to carry so before opting for the same make sure your child is comfortable with the pattern. Anarkali sherwani should be combined with a churidar! Jodhpuri sherwani is longer lengthwise and is extremely ethnic in its designing and pattern. A very simple pattern, jodhpuri sherwani has buttons too. Jodhpuri sherwani is best paired with a churidar. One can add cufflinks to the sleeves too in order to give a royal twist to the entire trousseau. Kids might not like too many accessories but you can go for manageable elements like cufflinks. An asymmetrical sherwani is not uniform lengthwise. Just like the asymmetrical kurta, a sherwani also has different lengths on different sides. Though this style might not look very impactful on a child, you can opt for this if your kid is a bit heighted. 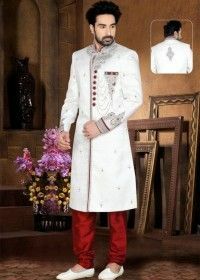 Asymmetrical sherwani can be teamed up with churidar or straight pants. 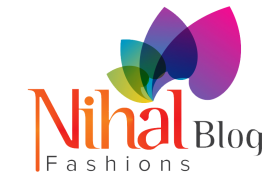 In order to wear ethnic attires, the first and foremost aspect that matters the most is the fabric. Especially when it comes to kids, fabrics have to be selected very carefully. Most kids have a sensitive skin and some fabrics might lead to irritation too. Moreover, the work on the sherwani also needs to be chosen with care because it should not be edgy or prickly in any way. The most common fabrics for sherwani are silk, velvet and brocade. Kids have zero tolerance level and when they are dressed up in fitted ethnic attires, they are likely to get more irritated. It is advisable to go for a sherwani only if the event demands so. If you feel that casuals can also work for a particular function then opt for a simple style in sherwani. The time of the event also matters when selecting a traditional trousseau. Colour of the sherwani should suit the event and should also blend well with the time of the event. It is better to go for bright colours during the day and opt for dark shades for evenings. Sherwanis look amazing in the tones of metal, however, for kids sherwani one can experiment with different colours and shades. The mix-match trend has also found place in sherwanis. When it comes to colour combinations, kurtas are the easiest attires to style. When it comes to kid’s sherwani, one has to focus on the bottoms too. Unlike kurtas, sherwanis need a bit of blending. 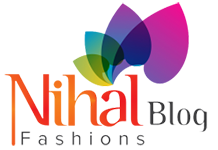 Check out the best colour combinations for kids sherwani. The combination of white and gold is a classic one. This simple combo works best not only for day events but also looks fabulous in the evenings. Though for kids this light colour might need a lot of maintenance but if you can manage you should definitely opt for this combination. Try selecting a white sherwani with a gold embroidery and your kid is bound to look classy. A shimmer green sherwani can be teamed up with an ivory churidar or a white dhoti pant. Go for a sherwani which has minute detailed work all over in the shade of green. Team up this heavy-laden sherwani with an ivory-toned churidar. Kids can experiment with bright colours too. Perfect for evening events, dark pink and silver can be combined for a sherwani trousseau. A dark pink sherwani looks apt when its borders are detailed with silver sequin work. This combination is vibrant and is definitely fit for a kid. Maroon or a deep red tone goes well with a cream coloured bottom. A maroon coloured sherwani can be enhanced with golden buttons and the bottom can be golden toned. This look is appropriate for receptions and wedding ceremonies. Bright colours look effortless on children. Rust orange is very much in trend these days and it is also suitable for Indian trousseaus. A rust orange sherwani with minimal work can be combined with pink pants. Apart from the sherwani and the churidar, the colour of the dupatta also matters a lot. The shade of the dupatta can make or break a look. When wearing a sherwani, dupatta or a stole is a must. Above all, styling the dupatta is also a big task. Though most children are not keen on handling any extra element, you can fix the dupatta on the trousseau with a soft pin so that it does not need any special attention. Here are some tips to style dupattas. The most common way to drape a dupatta is to wrap it around the neck in a loose form. This draping style may be quite cumbersome for kids but you can pin up the dupatta correctly to avoid any hassle. For kids, the shorter the stoles the better. Stoles shorter in length are better to maintain and are also less cumbersome to carry. In between all the running and mischiefs, the kids might just trip on the dupatta if it’s too long. Due to the stated, it is best to go for a short stole. Fixing the stole on one side looks simple and ethnic to the core. This draping style hardly requires any effort. It only involves fixing the stole or the dupatta on either side of the shoulder. You can pin up the dupatta or the stole with a single pin. Kid sherwani paired with a single side dupatta looks amazing by all means. Kids usually do not need any accessories. However, when it comes to wearing a sherwani it is good to pair it up with minimal accessories. Cufflinks are not much suitable for kids. Instead, you can opt for elements like wristwatch, pocket squares and unique footwear. These days there are many varieties for kids in wristwatches too. Kids are generally used to wearing wrist watches so that is one accessory which is a safe bet. A neatly placed pocket square is a must-have accessory when it comes to sherwani. Even for kids, this particular element works the best. Pocket squares can be fixed inside the pocket and do not need any handling as such. The colour of the pocket square also needs a check. Suppose the sherwani is deep red in colour with golden work and the bottom is white in tone then the pocket square should either be golden toned or white. Lapel pins are very much in vogue. Even kids can wear lapel pins on a sherwani. These days are there are many funky varieties in lapel pins which are apt for kids. Try opting for moustache shaped lapel pins or spectacle-shaped pins which look unique and fashionable. Footwear plays a very important role when it comes to completing any ethnic look. Most people opt for juttis when wearing a sherwani. Moreover, these days there are many choices in footwear. Juttis come in several colours which can be matched with the sherwani. Certain juttis also have embellishments and borders which add to the look of the footwear. If your kid is not comfortable with the juttis then brogues are the best choice. Brogues are very comfortable and also give a formal look. However, the brogues look good only with churidars! It is very necessary to see the comfort level of your kid when opting for a footwear. Along with checking the trends also see the material and the size of the footwear. Sherwanis need not be worn only for weddings, you can mix and match different colours and patterns and wear these trousseaus for other functions as well. Kids sherwani collections are available at many outlets so you are definitely going to be spoilt for choice. While selecting a sherwani for a kid you must be sure that the attire is not looking overladen with all the work and the embroidery. The sherwani pattern should be apt according to the kid’s age and stature. Next article Next post: What Makes Ethnic Gowns A Must-Have Traditional Attire?